After upping sticks from Lincolnshire, Philip moved down to London and changed his career path. Luckily for Atkinson McLeod, we have been one of the many beneficiaries of this timely relocation. When he’s not excelling as a lettings manager, Philip might well be found sipping a pint and tucking into a roast in a village pub. 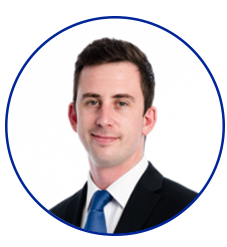 Mr McConville aspires to be the best manager across all of our offices and is keen to make sure his branch runs like clockwork. No wonder, then, that he says the word lazy comes nowhere near his name. When it comes to superheroes, he says the Hulk best demonstrates his approach. And that’s probably why all the other letting agents in Kennington are green with envy at Philip’s choice to work for Atkinson McLeod! Likes: Clay shooting, tennis, cooking on the BBQ. Hates: Laziness, lateness, driving slow in the fast lane. Favourite Restaurant: On the Bab, Covent Garden.